Spitronics tune ups and repairs Spitronics wiring repairs. Turbo fitments and Mechanical Repairs on heavy and light vehicles. Diagnostics on cars and trucks. Spitronics Dealer and Certified Spitronics Fitment centre on all Lexus V8 conversions Turbo Conversions Lexus V8 Engine conversions Spitronics fitments and Tunning Turbo conversions Performance upgrades Race chips Mechanical repairs NOS Fitments Lexus 1uz 1uz vvti 3uz vvti Rear Bowl Sumps Lexus v8 flywheel and adapters 2JZ 1JZ RB25 RB26 turbo conversions. R&R Developments is centrally situated at 396 Gerrit Maritz rd, Pretoria North, Gauteng, South Africa and service customers from all over South Africa. Spitronics engine and Spitronics gearbox managment system fitments wiring repairs and faultfinding, Spitronics tunning and programming call us for any related Spitronics problems, we do Spitronics support and we also do call outs for faultfinding and tuning (call out fees are applicable and will differ depending on distance labour and parts excluded.) We also do Turbo conversions, replacements engine upgrades, performance head and cams, gassflowed heads & complete forged racing motors, normal aspirated, turbo, nos, supercharged, we do it all. Give us a call on performance parts and exhaust system upgrades. R&R Developments is centrally situated at 396 Gerrit Maritz Street, Pretoria North, Gauteng, South Africa and service customers from all over South Africa. Spitronics fitments and Tunning. Spitronics diagnostics and wiring repairs. Maintenance and repairs on all light vehicles. We also do Spitronics support and this means we will come to you. Any Petrol Engine Conversion. Turbo or Supercharger Conversions. NOS Fitments. Minor and Major Performance Upgrades. We also deliver automotive repair services. We serve an number of customers for who, we do minor and major services. As well as major and minor repairs on their cars trucks and equipment. We do clutch and brake repairs as well as engine repairs and replacements. 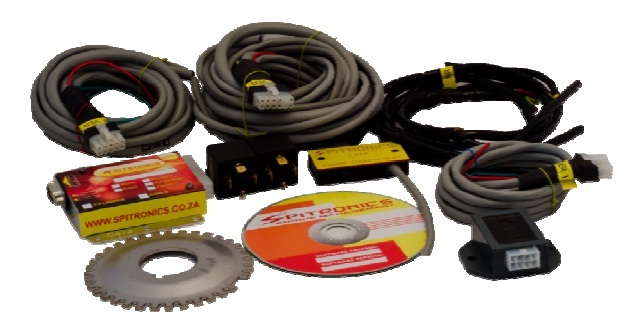 We specialize in spitronics ECU and TCU fitments as well as Spitronics faultfinding and wiring repairs. Spitronics ECU and TCU tunning and spitronics upgrades and replacements. We have been involved with spitronics since 2008 and have attended a couple of spitronics training sessions. Spitronics systems is our bread and butter!